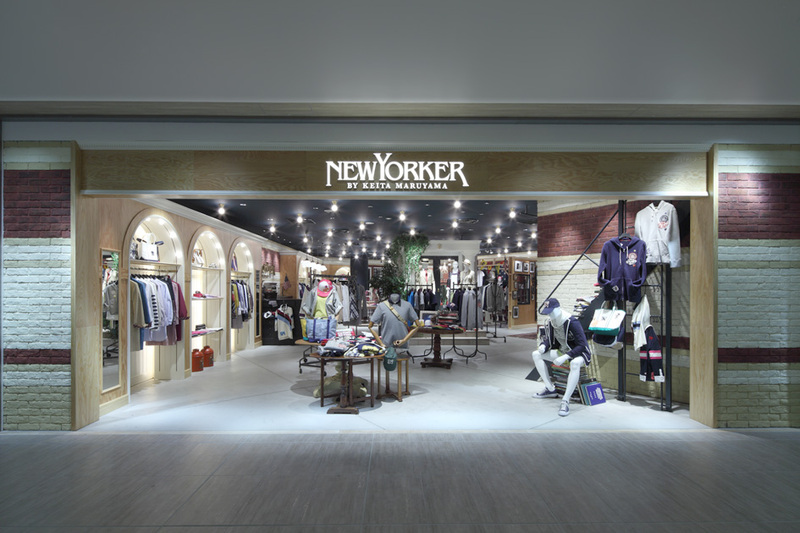 This store is the flagship for a collaboration between designer Keita Maruyama and NEWYORKER, a Japanese apparel brand with a classic American style. 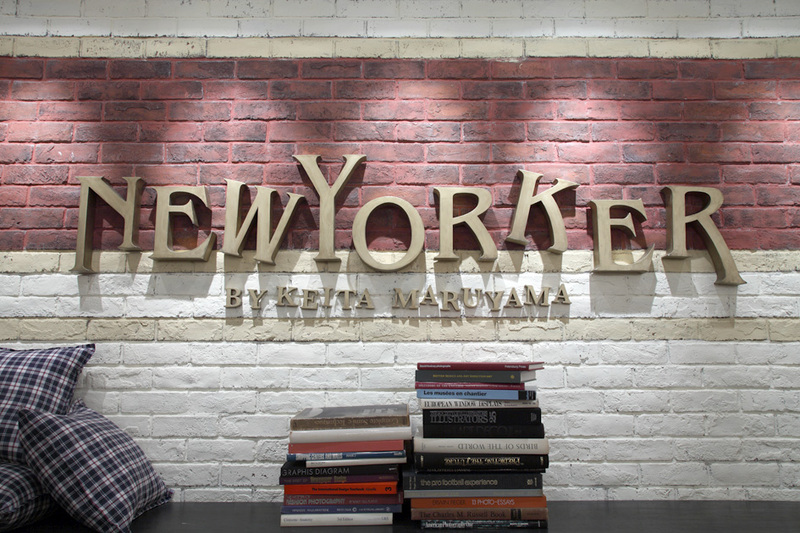 The image Maruyama wished to create was the idea of "America, land of the free". 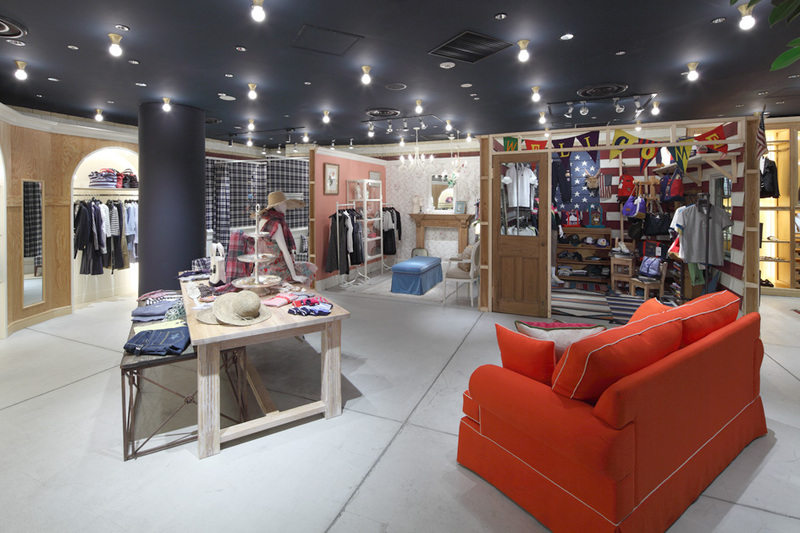 Jamo's plan was to create a space where the style could informally take shape by filling it like a photographer's studio with objet reflecting Maruyama's fertile imagination. 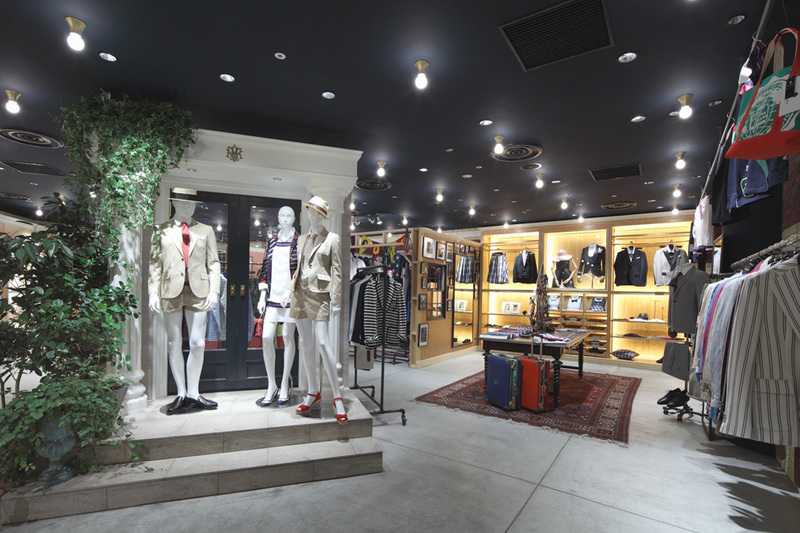 In order to show off to positive effect the various scenes created in the store, the ceiling was made black and lined with light bulbs and a single "studio-like" space was created. 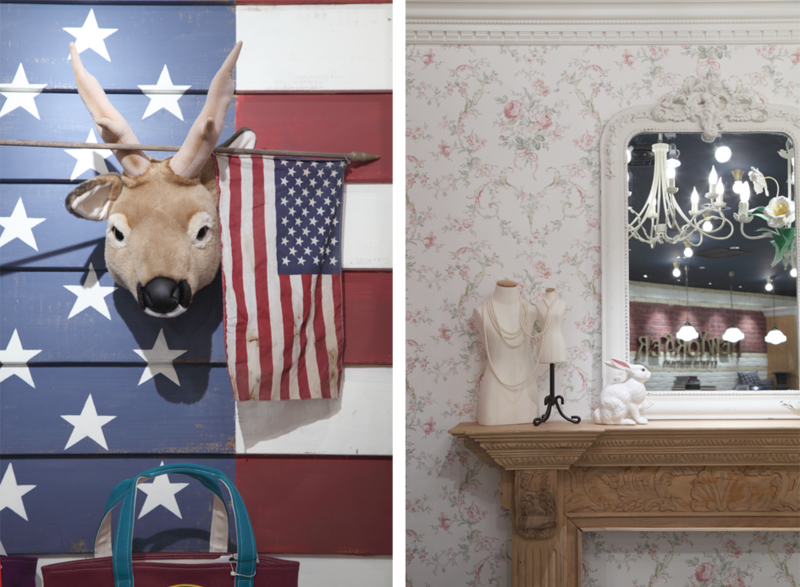 Those scenes include the motif of the roof of an Ivy League university building (seen in the border along the shop's brick walls) and the motif of an entrance of a stately American home (seen in the tartan plaids, the small floral print of the wallpaper, and the Stars and Stripes of the American flag). 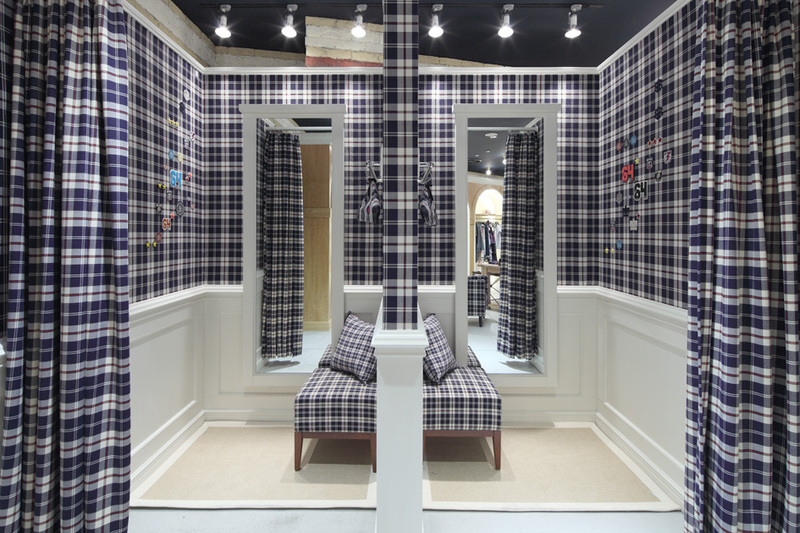 To display more detailed scenes, three 7.3m2 booths were built where the walls could be plastered with ideas.